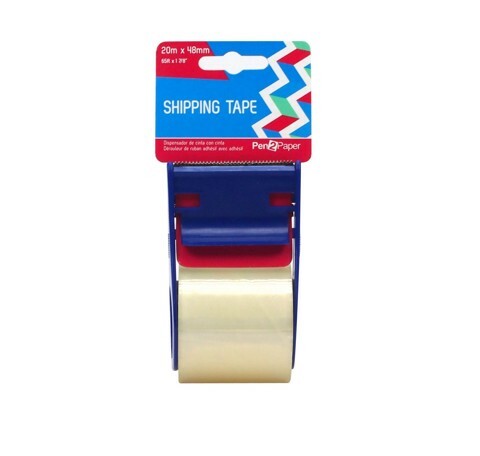 Shipping Tape W/Dispenser 20M. Tape Is 48mm Wide x 20m. Blue Dispenser W/Clear Tape. PP Plastic. 0 Packaging: Hang Card.